Kid made gifts that showcase artwork and can also serve a functional purpose are some of my favorite things to have my kids create for Mother’s Day. I have seen several DIY tile coaster tutorials on Pinterest that looked simple, so we decided to adapt the idea a bit to include kid artwork and designs and make some special coasters for the grandmothers this year. I did this project with several ages of kids/teenagers in addition to my own. It was fun to see the different results. I think this project is best for kids ages 6 and up, though younger children could definitely do the project with more adult supervision. 1. Cut paper into different sizes. We used 2×2 squares and 4×4 squares. 2. 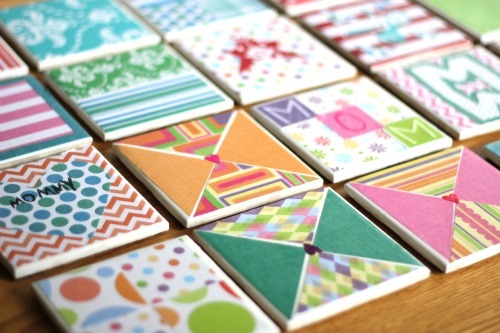 Use paint and various tools to create designs on some of the plain pieces of cardstock. 3. 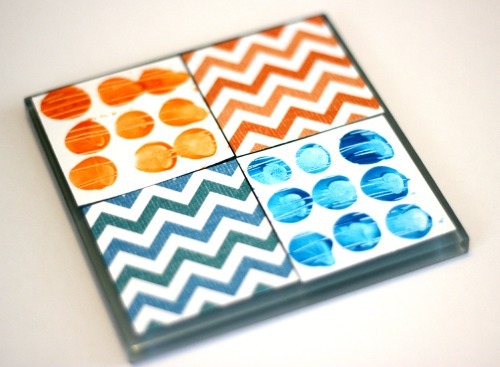 Let the painted designs dry and then decide how you want to use them to create your coasters. I loved all these different variations. 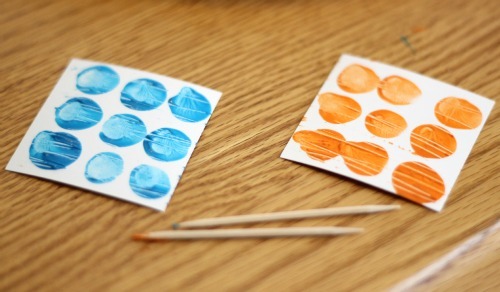 You could also use markers and stickers or cut paper into different designs to make these even more fun. 4. 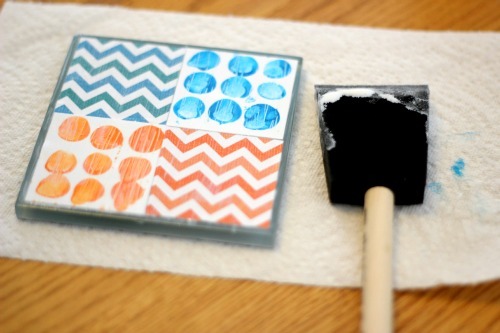 Cover the surface of the tile with one layer of Mod Podge. 5. Adhere the painted paper and other designed cardstock pieces to the top of the tile. 7. Add another layer of Mod Podge on top of the cardstock paper. Let it dry and then repeat. You want to do at least 2-3 layers of Mod Podge. If the layers don’t dry in between each coat then the paper will bubble up. 8. 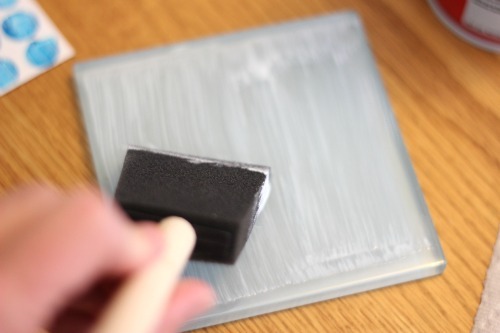 After the Mod Podge dries, cut a 4×4 square of felt and use the spray adhesive to adhere the felt to the bottom of the tile. 9. Once everything is dry, spray the top of the tiles with a clear acrylic sealer to finish off the tiles and make them waterproof. 10. 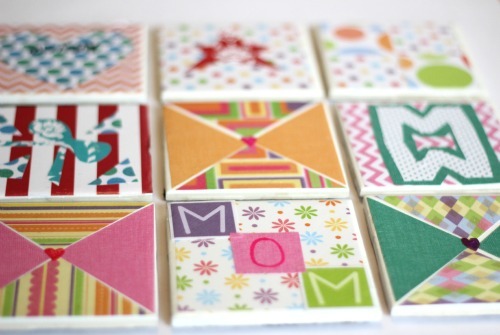 Wrap up the tiles or tie them together with a ribbon and a card and they are ready to give as a simple Mother’s Day gift (or a great gift for your favorite teacher as you finish the school year). What do you typically give as a gift for Mother’s Day? If you are a mom, what do your children typically give to you? Next PostMake a DIY Mother's Day Gift Basket in Less Than 30 Minutes!